With the rise of microservices or large scale distributed systems and communicating through HTTP and NoSql databases, we also see the rise of eventual consistency. The focus on reliability or the perfect operation at all times had to shift to resilience; the ability of an application to recover from certain types of failure and yet remain functional. All-or-nothing and reliable transactions were paramount, data had to be safely stored above all, sacrificing the user experience and cost. The objects on those transactions could also be very complex, frequently using multiple tables and even different databases. Typically, if a transaction failed, the user would receive an error requiring his action; usually to resubmit the request or contact support. To keep response times low, vertical scaling with costly “big iron” was common. Retry – define a criteria on when to retry. Some early APIs addressing these issues were Netflix’s Hystrix and the Failsafe library. When the microservice oriented MicroProfile started, soon the need for a FT specification was made clear. 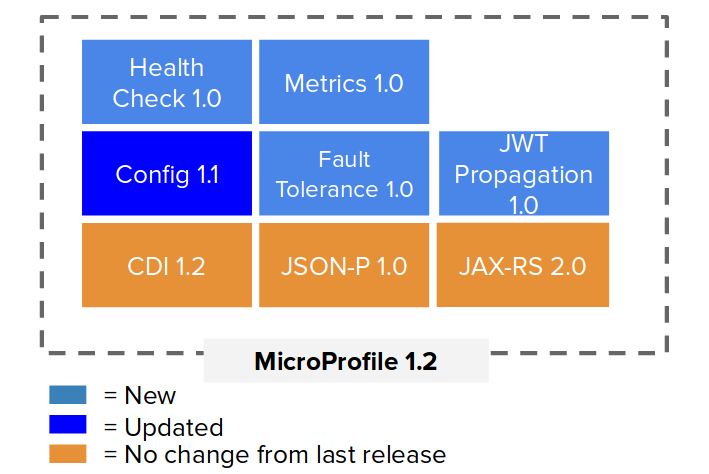 The FT specification is part of the Eclipse MicroProfile, the open source community specification for Enterprise Java Microservices. This last one looks like the old EJB @Asynchronous annotation, but it isn’t. Yes, it allows fast return with the execution on a different thread, but doesn’t need EJBs. Asynchronous interceptor improvements and CompletionStage return type for reactive applications. Ability to open a circuit breaker during runtime. On our TomEE side, we will be working on integrating Geronimo Safeguard…..Stay tunned!